Under the state-wide Atal Vikas Yatra, the people of Bastar division of Chhattisgarh's tribal-dominated district have a huge sauga today. Chief Minister Dr. Raman Singh made a digital fundraiser of the railway route from Jagdalpur to Rawghat under a 235 kilometer rail project of Dalli Razhara-Jagdalpur in a massive public gathering held at Lal Bagh Ground of Divisional Headquarters Jagdalpur. Addressing the General Assembly, he compares the railway lines to the lines of human hands. Dr. Singh said - In today's era, the development and expansion of the rail network only embodies the fate and picture of any country or state. He said - this railway route will open new door for development in Bastar. The Chief Minister has laid bhoomipujan and foundation stone for construction of 140 km long railway line under Rawghat-Jagdalpur project of approximately Rs. 2538 crores. It is worth mentioning that construction of about 95 km railway line from Duli Rajhara to Rawghat in the first phase of this project is in progress and on this route, railway service has started from Dalli Rajahhar to Bhanupratappur. On the occasion, the Chief Minister also released the widening work of 119 Kms of Jagdalpur National Highway from village Bardma-Dahikonga on this occasion. While addressing the mammoth gathering in Lalbagh grounds of Jagdalpur, he said that today is a historic day for the tribal-dominated Bastar division, where a new history is being created. He said - entering into a new age with Bastar Education Hub, Medical College, Nagar Nahar Steel Plant. There will be new industry and support industries. Development will get new momentum around the rail line. This area will grow 10 times more in coming time. Minister of State for Steel, Shri Vishnudev Sai, Minister of State for Railways Shri Rajendra Gohain, Minister of Higher Education of Chhattisgarh, Mr. Prem Prakash Pandey, Minister of School Education, Mr. Kedar Kashyap, Forest Minister Shri Mahesh Gagra, Lok Sabha MP Mr. Dinesh Kashyap, as special guest in the program. was present. The Chief Minister said that four districts of Bastar, Kondagaon, Narayanpur and Kanker will be connected with Jagdalpur-Rawghat Rail Project. Between Jagdalpur and Raghat, Palli village, Kudankar, Bastar, Sonarpal, Bhanpuri, Dahikonga, Banyagaon, Kondagaon, Jugani, Chandgaon, Narayanpur and Bhardla stations will be built. On completion of this railway route, distance from Jagdalpur to Raipur will be reduced from 622 to 360 kilometers by rail. At present, Jagdalpur has to roam going to Koraput-Titlagarh and go to Raipur. Dr. Raman Singh said that Chhattisgarh proposed a new model of expansion of the railway line with the support of NMDC, SAIL, SAIL, IRCON and CMDC, the Prime Minister Shri Narendra Modi approved it. Jagdalpur-Rawghat Rail Project is being started today with special efforts of the Prime Minister. He expressed gratitude towards the Prime Minister for this. The Chief Minister also lauded the contribution of Railway Minister Shri Piyush Goyal, Steel Minister Chaudhary Virendra Singh, Minister of State for Railways Shri Rajen Gohain and Minister of State for Steel, Shri Vishnudeva Sai, for promptly pursuing this project. The Chief Minister said that as long as the length of the railway line has been laid in Chhattisgarh over the last 150 years, the rail line will be laid in the next five years. He said that the Bastar is changing. Bastar is entering the new round with road connectivity, power connectivity, rail connectivity, telecom connectivity and air connectivity. In the program, the Chief Minister inaugurated the widening and renewal work of 119 km from Bidma-Dahikonga-Jagdalpur to NH-30 at a cost of about 541.88 crores. They laid the foundation stone of the 25 kilometer long 25.60-kilometer stretch of Lonandiguda Development Block at Tarangaon Garada Kodnar Road and Rs. 33 crore 75 lakh at a cost of Rs. 20 crores, 45 kilometers long Chitrakot Barasur road. Dr. Singh inaugurated the Bastar Handicrafts Project Bhawan in Subhastha Kendri Bhawan in Chidpal, constructed at a cost of Rs.2, 64 lacs, Construction of a transistor hostel in Darbha, Construction of Government High School in village Sorgga Vikaskhand Bastar and Village Tarangal Vikas Khand Bhanpuri. In the Chief Minister Dr. Singh Program, distribution of goods and checks worth Rs. 79 lakhs to 440 beneficiaries under various beneficiary schemes. He provided three HP electric pumps at the cost of 24 lakh 31 thousand rupees to 130 farmers under Shakambhari Yojana of Agriculture Department. Apart from this, Dr. Singh provided the Paddy transplant to three beneficiaries, 3 beneficiaries to the Reaper and 12 beneficiaries under the Power Mechanics Scheme for the battery power sprayer. Under the Pradhan Mantri Krishi Irrigation Scheme, checks amounting to Rs.33, 68 thousand rupees to 154 farmers and provide sprinkler pipes to the farmers. Distribution of checks of Rs 2 lakh 35 thousand rupees to 119 students of the Labor Department under the Navnihal Scholarship Scheme. Naxalite said that the outside Naxalites do not live any further in any encounter. Only Chhattisgarh and the people of Bastar have to fight and go ahead. In front of the IG in Chhattisgarh, two honorary Maoists, including a woman, surrendered. The reward was reward of five lakhs on the nominal Naxalite Lachchu aka Kamlesh, whereas Devaki is a reward of two lakhs. Being told that Lachchu alias Kamlesh was involved in the Naxalite organization in 1999. He has been involved in many big cases. In 2003, in Bijapur district, he took out a major tragedy in the village Muder area, where five security forces personnel were martyred. At the same time, the female Naxalite Devaki used to work as a nurse in the Naxalite organization. Naxalite Kamlesh, who surrendered, said that the Naxalites have lost the explosive material at present. He is now running his own work of cracking the cracker. Kamlesh also said that the outside Naxals do not live any further in any encounter. Only Chhattisgarh and the people of Bastar have to fight and go ahead. Kamlesh said that for this reason the local Naxalites are very angry with the people running the Naxal movement and are surrendering. On the other hand, Bastar's IG said, thus saying surrender as the success of the security forces, that the Naxalites are now on backfoot in Bastar. Naxal operations in Bastar will not stop. Continuous operation will be done. On this occasion, for the development of Bastar (Jagdalpur) district, he inaugurated 110 different construction works of 106 crore rupees, Bhumi Poojan and Shilanyasa, and in the general assembly under various schemes of the government, more than 74 thousand beneficiaries under 9 crore 48 lakhs of grant material and amount was distributed. In the 28-km road show from Tarapur to Jagdalpur, a number of people including representatives of the School Education and Tribal Development Minister Kedar Kashyap and Chairman of District Panchayat Bastar Smt. Jabita Mandavi were also present. In the receptions, the Chief Minister expressed his gratitude towards the villagers of the region for this extensive public support for the Atal Vikas Yatra. He said that former Prime Minister Shri Atal Bihari Vajpayee had created Chhattisgarh State. He died on the 16th of last month. In order to show respect to Chhattisgarh state producer, development tour is being organized by the state government in his name. Dr. Singh said that after the state's formation and, especially in the last nearly 15 years, the development of Bastar Zone has definitely gained momentum. Road, electricity, drinking water, education, health and other facilities have expanded. The Chief Minister said that the journey of Bastar will continue this journey further. In the memory of Atal ji, the government has released the draft of the new Chhattisgarh 2025 model, which states that when the Chhattisgarh state will reach its silver jubilee year 2025, then what will be its picture of development? By that time, the income of the farmers of the state would be doubled. Chhattisgarh will also be included in the category of the most developed states of India. Chief Minister Dr. Raman Singh has said that the new phase of Bastar will be developed and full of self-confidence. The coming tomorrow is of the people of Bastar. Now Bastar talks about the development of Bastar and the extension of education facilities in Bastar. The Chief Minister was addressing a mammoth gathering organized in the village Tarapur of the Dakhand Vikas block of Bastar district under the state-wide Atal Vikas Yatra this evening. He said that the education of the country's Prime Minister Shri Narendra Modi and President Shri Ramnath Kovind Dantewada comes to see the development of Hub and Bastar. In 2003, Bastar was identified as the area facing backward, migrants and the challenge of Naxal violence. Today, the light of development has reached the villages and villages of Bastar. The entire network of roads has been trapped in Bastar. 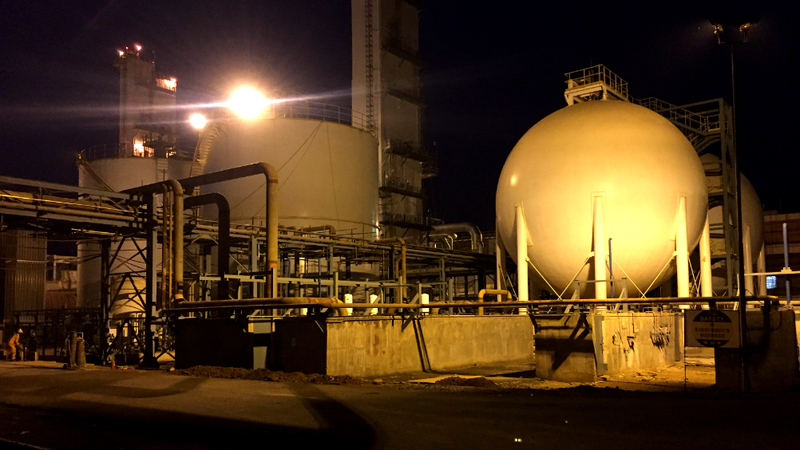 A new steel plant is being prepared in Nagar Nahar. Medical college has started in Jagdalpur. Today students of Bastar are becoming doctors, engineers. They are also being elected on administrative posts. This new round is writing a new version of Bastar's development. Dr. Singh congratulated the people on Ganesh festival and Engineer's Day and congratulated them. In the General Body, the Chief Minister handed over 110 development works to Bastar district at a cost of more than Rs. 106 crores. Dr. Singh inaugurated 41 development works worth 25.22 million rupees and laid the foundation stone of 69 development works of Rs. 77 crores 94 lakhs. In various beneficiaries, 74 thousand 612 beneficiaries were given material and assistance amounting to about 9.88 million rupees. Dr. Singh distributed material and amount of symbol to some of these beneficiaries. In the Chief Minister's Assembly, 28 thousand workers were given a symbolic start to Tiffin, smart phone, 36364 Tendupta collectors, bonus amount of Rs 5 crore 89 lakh and distribution of phase foot distribution to 34 thousand 721 beneficiaries. On this occasion, many public representatives and a large number of rural masses were present on the occasion including the Minister of Tribal Development Shri Kedar Kashyap, Lok Sabha MP Mr. Dinesh Kashyap and President of State Youth Commission Mr. Kamalchand Bhanjdev. Chief Minister Dr Raman Singh has said that the development of Chhattisgarh is exemplary for other states and in our area, the entire Bastar Zone is now synonymous to development. In the case of development, the picture of all districts of Bastar division is changing rapidly. The Chief Minister was addressing the 'Bastar Development Dialogue' program held in Jagdalpur, headquarter of Bastar division, today, with the Chief Guest address. He said that despite the challenge of Naxal violence and terror, the state government has made every possible development of education, health and infrastructure in all the districts of Bastar division with the help of public. The government is constantly working in this direction. In this zone, the State Government has formed Bastar and South Region Development Authority with public representatives for public participation in the development work in line with the needs of the people. Medical College in Jagdalpur This is another major achievement of this region, Education City, in the name of former Prime Minister Late Shri Atal Bihari Vajpayee, in village Jawanga of Dantewada. The program was organized by the Hindustan News Group. On this occasion, Chief Minister Dr. Singh released the special issue of Yugavtar published by the Hindustan News titled 'Changing Bastar'. In the program organized in the meeting of Agriculture College, the Chief Minister said that Bastar would be very soon free from Naxalism. Naxal activities have now been reduced to a small part. In Bastar, there will be complete peace in the next two to three years. 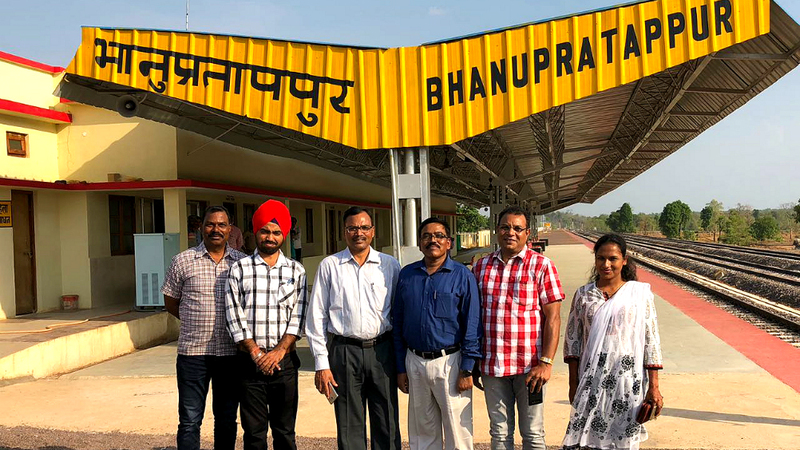 Now Bastar is connecting with better road connectivity, rail connectivity, air connectivity and internet connectivity. Dr. Singh said that this area, which is setting new records for development, has been selected for this purpose due to 'Bastar Development Dialogue'. He welcomed the journalists from different districts of the state including Delhi. Dr. Singh challenged the journalists to bring development work in Chhattisgarh through the medium of news channels to the corners of the country. The Chief Minister said that a new steel plant has been set up at Nagarnar of Bastar district at a cost of about Rs. 16 thousand crore. The day is not far away when iron ore blocks will not be sent out, the finished steel and products made from the steel plant will be exported. With the introduction of this steel plant, new jobs will be created in Bastar and a new era of development will be started. The evening was seven and a quarter seven. In the dawn of the evening, the Darbha valley of Bastar began to look surreal and divine. But my heart was beating fast. Jagdalpur was still 38 kilometers away. According to the experience of reporting in this area, it was dangerous to stay here for reporting after sunset. The terrible silence passed around, the forest in the dark, there is no populist population far and wide, telling the mobile outside of the coverage area ... it was all making sense to realize that it is not okay to undergo such Maoist area. .
Bastar is actually the area inhabited by several tribal groups with different dialects. It has been considered the center of extremism of the Left. Their attacks on the security forces have also been terrible. Their public advocates, who make quick decisions, are notorious for their vandalism. In these courts, everyone knows about what happens to the police informers. The motive is that only because of the open punishment, people are so scared that no one ever calls them off. Bastar of Chhattisgarh was once the largest district of the country. Later, it was divided into 7 separate districts, to enable the administration to run smoothly. Even today, Bastar division (total area 39,117 sq km), Kerala (38,863 square kilometers) is bigger in the area than many states. Bastar Since the Maoist went into the lap of terror, he has taken possession of every identity of this area. In return, this area has lost so much precious things. We lost the people of this area, we also lost our hands in a wonderful culture played in the lap of nature. In addition, we have lost all kinds of natural resources and precious minerals, which are littered in this area. Although now it was a matter of the past, but I remember that same bastar. Umashankar's say was correct. In 2013, I went to Bastar for the last time. Then and in today's Bastar there is a difference in land and space. Well, we reached Jagdalpur without any unpleasant incident throughout the hour. A big surprise was waiting for us here. Jagdalpur city, which is the headquarters of Bastar district, was bathed in light of 8 pm. Food-shop shops, ice cream parlors, tea shops and department stores were full of people. People later told me that there is a similar kind of humiliation till 11 o'clock in the night. Some years ago, such a lively Bastar could not even think about it. Although the evening was very faint and it did not feel that the Maoism had been eliminated in Bastar. But so much the idea could have been imposed that despite the fear of the Maoists, people have learned to live life in certain areas of Bastar. The development work done by the central and state governments on the war-footing has started to result. Under this, the security forces take any area in their surroundings and the work of infrastructure or structural construction is done by the administration. In this way, the plan to throw the Maoists on the margins eventually came to an end. As a result, Maoists have always been the stronghold of the Maoists. This area is slowly but rightly now shrinking. Explain that this fast, organized and robust growth was started in 2011 by the then Rural Development Minister Jairam Ramesh of the then UPA Government. In the same year in August of that year, the CRPF had made a tremendous attack on the Maoists in the Saranda area of ​​Singhbhum district of Jharkhand. For the first time that year, about a decade later, the tricolor was hoisted in Saranda. Jairam Ramesh has indeed taken the palm that the success of the security forces can be done to prove the stability of the situation after this incident. The result came out as a Saranda Development Plan. The same scheme got security cover for Sarna area, which proved to be a strong shield against the Maoists. Because of this security, the Center, the State and the district administration could develop it here, whose lack of understanding was mainly due to tribal Vasinde here. So far, the people of this region were deprived of this development due to the indifference of the state governments and the fear of Maoism. Since Jairam Ramesh was himself involved in this work, the SDP ie the Sarna Development Project initially hoped some expectations. However, due to administrative shortcomings, the scheme was subsequently split during the remaining UPA regime. Later, the Narendra Modi government took up the responsibility of the Saranda Development Model, did a tremendous job. Modi's government increased the operation of the security forces tremendously against the Maoists. These operations proved to be more successful than P Chidambaram's 'Operation Green Hunt', then Home Minister of that time. During the UPA, there was a lot of discussion about the success of Green Hunt. On the other hand, in the areas which were free-zone, where there was no fear of panic, the development work was started very fast. The message given to tribals of those areas was clear- choose one of the sweetness of Maoism and the sweetness of development. Minister of State for Home Hansraj Ahir said in his written reply to the Lok Sabha in March 2018: "The government has taken steps to protect against the leftist terrorists, steps should be taken to ensure safety, development work and local people The work will be done to give their rights and entitlements. As the geographical expansion of the Maoists has decreased and the incidence of violence has decreased, it can be said that due to this policy, the overall level of security has been very good. Obviously this has also accelerated development work. But Bastar's picture is completely different from Saranda. It is a matter of work of development in a village free from the horror of Maoism. And the work of infrastructure in a village fearing terror is a different thing. In these villages, both government employees and villagers are afraid of leftist terror. This is the situation in the villages of seven districts of Bastar, which are still considered to be the stronghold of Maoist insurgency. Apart from this, it is also in the official list of 7 districts, ambitious districts of the country. Perhaps this is why the road connecting Jagdalpur with districts of Dantewada, Sukma, Bijapur, Kondagaon, Kanker and Narayanpur with Maoism has a special meaning. As I went further into these areas for the next 10 days, I noticed that the roads built in these areas have played the most important role in connecting people here with mainstream. The journey of development to the villages where the Maoists are in the strongholds is possible only through these roads. The roads did not do this, provided the tribals with essential things, such as hospitals, administration, school-college and market. This is the road, which has increased the confidence of the people here so that they can now come to the villages having defenseless Maoism-affected villages. Of course, the biggest threat to the Maoists is not only with the security forces' rifle, but they are new roads which provide alternatives and opportunities to local tribesmen. However, the country has to pay a huge price for constructing roads in such areas of terror. Many CRPF jawans, policemen and people engaged in the construction work in making them, the Maoists have targeted their bullets. In the memory of the soldiers of the CRPF who went to protect these roads, a martyr memory gate has been built on Bijapur-Basaguda road in Bijapur district, which is also known for the bitter realignment of roads in the Bastar region. Offers. 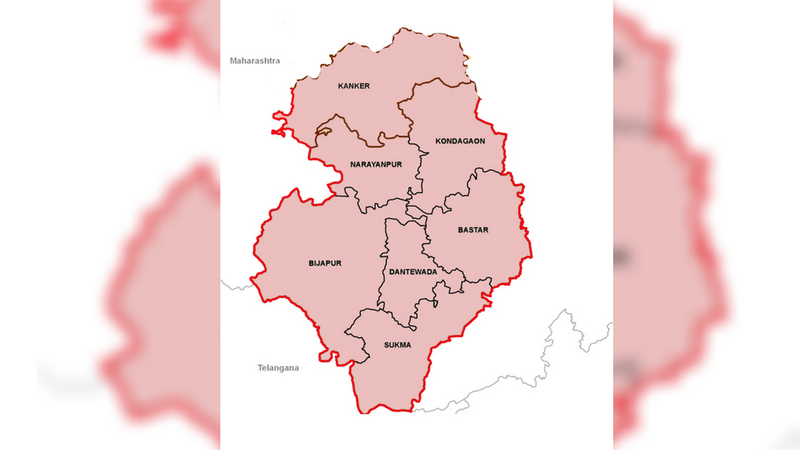 Bastar commissioner Dilip Vasnikar told the FirstPost: "In the last 5 years, the entire development work in the Bastar division has been done very fast and the result of this is that the Maoists have gone a long way in these areas. You will find that the dhabas on the side of roads are open in the night, without any fear. Our children are going to civil services, passing the IIT examinations. 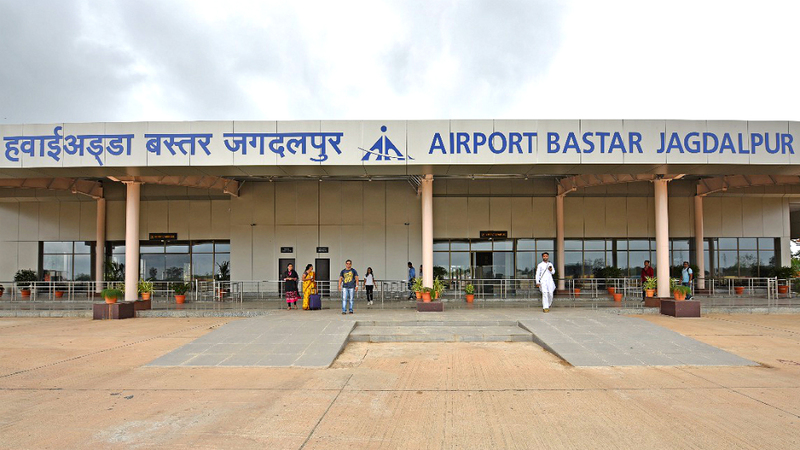 And now Bastar has also been connected with rail and air traffic. " Union Road and Transport Minister Nitin Gadkari had announced in Raipur in January 2015 that under the RRP, ie road safety scheme, the government will construct 7,294 km of roads in Naxal-affected areas. These are important roads, which will work to connect badly affected areas with Naxalism, such as the road connecting Dantewada and Sukma. According to an official of the CRPF, under the RRP, the construction of 451-km long roads of 14 national highways (National Highways) in the security of CRPF in Bastar was completed, out of which 244 kilometer long road has been completed. Traveling through these areas, apart from the good roads, things also attract attention. On both sides of the road, new educational institutions, hospitals, primary health centers are seen and government efforts are seen to be coloring. In addition to the plans of the Center, development schemes of Chhattisgarh government are also working. In the area of ​​Bastar, in the last 5 years, the state government opened 9 new government colleges. These include engineering and medical colleges. Apart from this, two Government Hospitals, 101 Ayurvedic Hospitals, 140 Ayush Centers, 8 Primary Health Centers, 13 Sub-Health Centers, 41 Higher Secondary Schools and 58 High Schools have been opened. Free coaching centers for the skill development center, a nursing training college, civil services, IIT and other competitive examinations have also been opened by the government. The report of a major bank shows that 112 new branches and 115 ATMs of banks have been opened in the Bastar division from the year 2013 through to 2018. Over a decade ago, mobile connectivity in Bastar was like a nightmare. It was difficult for the police and the security forces to run the operation even in difficult terrain due to difficulties running mobile. To improve mobile connectivity, 225 new mobile towers were installed. Talking to a mobile without having connection here for an outsider is still almost impossible. Especially when you are traveling. D. M. Awasthi, head of anti-Naxal campaign in Chhattisgarh, says, "Despite the blockades, the work of development in the Naxal-affected areas is going on fast. Especially due to the roads, we are getting help in retreating the Naxalites. And now, the attitude towards the development of people is also changing. Both Dilip Vasinkar and D.M. Awasthi attribute this development to former Chief Secretary of State Vivek Dhand, who recently retired from this post. D. M. Awasthi said that like the CEO of the state, Vivek Dhand gave direction to all the development plans in the area of ​​Bastar. To take stock of construction work, he used to contact contractors directly and motivate those who work in these projects. Vasinkar believes that since Dhand Sahab has been a Commissioner of the area of ​​Bastar, he is aware of the forts of this entire division. In the last three and a half years, from the road to the opening of new institutions in this area, he has been taking stock of all the development work. For decades, due to many reasons such as the rugged terrain of Bastar, the Maoist terror and the ignorance of politicians, this area could not be linked to the rail. There was only one way to reach Bastar or to get there, sick roads there. Now there is a rail route from Jagdalpur to Visakhapatnam, two more rail routes are open, both from Jagdalpur and Dalli-Rajhara, to Bhanupratappur. Opening of this rail route will prove to be a blessing for the locals. A senior official of the South-Central Central Railway said, "350-km long track between Dalli-Rajhara and Rawghat is being constructed. Despite this, 60 km of this route has been completed, as opposed to the leftist militants. Trains are also running on this small path. We will soon complete the work till Raughat. Three companies of CRPF have been engaged in the security of railway track and are also protecting railway workers and machines. Yes, Bastar is changing now. For the first time, the Maoists are being pushed back, the security forces are constantly tasting success, the administration is connecting the villages for the first time with the network of roads and tribals are seeing their needs for the first time. In my next report, I will tell you that connecting with the outer world, how the people of Bastar are changing lives. In my next report, I will take you to Palanar, which is a small village of Dantewada. The same Dantewada, which has been a tremendous force for the Maoists. Until a few days ago, if any villager had to go to work outside the village, he had to take permission from the Maoists. Someone outside could not come to the village without his command. But now it is not so. When I reached Palnar, I saw that some children of the village are watching the National Geographic Channel on a large LED screen. Yes ... Palanar village is changing. Chief Minister Dr. Raman Singh arrived at Antagarh in Kanker district during the statewide development tour. While addressing the general body organized here, the Chief Minister said that Bastar is now getting exposed. Electricity is going to every village, mela and every house. Now darkness will not be here. He said that road connectivity, electricity and internet connectivity in Bastar is being increased. Bastar is now also connecting with air connectivity. Rail connectivity is also being increased. Rail has already reached Bhanupratappur, by the end of 2019, the railways will also reach Antagarh. Dr. Singh said that besides this, many works of education including school, college, ITI, school of attainment have been done in this area and in the last 15 years, the task of pursuing people in all areas has been done by the Government of Chhattisgarh. is. The Chief Minister said that after receiving blessings from Mai Danteshwari, they have come out on this journey from Dantewada to seek the blessings of the people. He said that this development journey is incomplete without the public's blessings. He said that earlier farmers were seen drowning in the water before buying paddy, but his government not only bought rice for farmers, but also gave bonus for paddy. The State Government is distributing paddy bonuses worth 1700 crores this year. Along with this, bonus amount of Rs. 700 crores is also being distributed to the forest dwellers to the Tandupta collector. He said that in 2003, the standard Bora collection rate of the Tandupatra was only Rs 400, which has been fixed by the government from time to time and now Rs 2500 per standard sack has been fixed. The Chief Minister said that the country's first Food Safety Act has been enforced in the state and rice is being made available to poor families only one rupee per kg. Five kg of gram grains and free salt are also being provided to poor families. The Chief Minister said that the government was concerned about the treatment of poor families. Under the Chief Minister's Health Protection Scheme, all the families of the state are being provided treatment upto Rs 50 thousand. The Chief Minister said that the ration card and smart card are two revolutionary steps of the state government. The ration card arranged for people's well-fed food and arranged for their treatment with a smart card. The Chief Minister said that electrification work is being planned for removing dark from 6 lakh 40 thousand houses in the state. He said that no house will remain in the dark for the next four to five months and every electrification will be done in 100% households till every para mohalla. The Chief Minister said that Ujjwala scheme is a very big scheme for women, in this scheme, the LPG connections are being given to the poor families of women at the registration fee of Rs.200. He said that the dream of a poor house of the poor is also being fulfilled from the Prime Minister's house. The Chief Minister said that there was an atmosphere of terror and terror in this region and after 5 o'clock the market was closed, but now this is not the situation. Describing the Ayushman Bharat scheme as a big scheme, the Chief Minister said that it would be possible to treat serious diseases. In this, the poor families will get assistance of Rs 5 lakh for treatment. He said that internet connectivity is being increased in this area at a cost of about Rs 3000 crores through Bharat Net and Bastar Net. In the information revolution plan, now 50 lakh smartphones will be distributed free of cost, making life easier. Lok Sabha MP Mr. Vikram Nand and MLA Shri Bhojraj Nag also addressed the meeting. On this occasion, the Minister of Incharge and Minister in charge of Kanker district, Mr. Mahesh Gagra, Minister of Tribal Welfare, Shri Kedar Kashyap, District Panchayat President, Smt. Subhadra Salaam, Mr. Mantaram Kashyap, Commissioner Shri Dilip Vasanikar, IG Shri Vivekanand, Collector Mr. Toman Singh Sonawani, SP Shri K.L. Dhruv, including many public representatives, officers and employees and a large number of villagers were present.